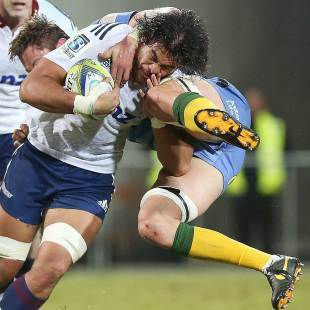 The Blues have delivered a hammer blow to Western Force's hopes of claiming a maiden Super Rugby finals berth, scoring four tries in a buzz-saw opening quarter before producing resolute defence to withstand almost everything the hosts threw at them. The match was dead as a contest in 18 minutes, with Ihaia West, Charlie Faumuina, Lolagi Visinia and Ma'a Nonu crossing for the visitors. 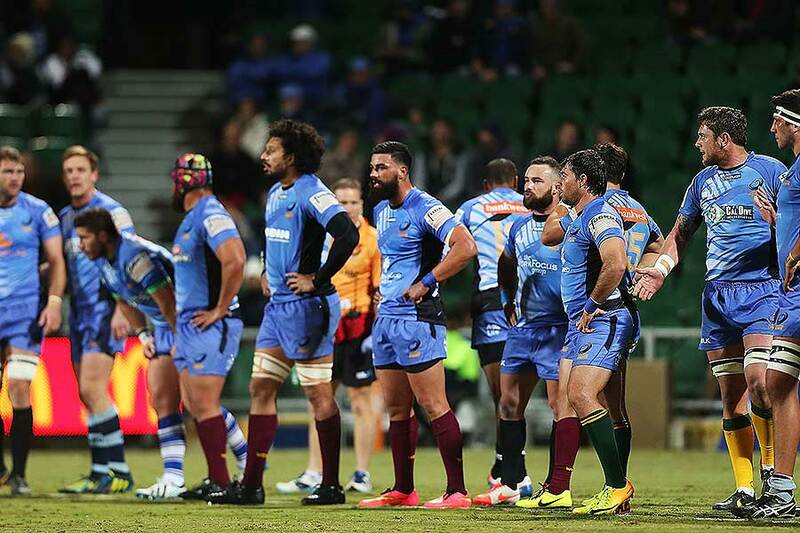 Western Force tried hard and dominated possession thereafter, but they were unable to breach the Blues until the 65th minute, by which time Luke Braid had extended the visitors' lead - the Blues driving their captain over the line under the goalposts after a series of offloads. Nathan Charles got the Force off the mark when he scored after a quick tap penalty taken by captain Matt Hodgson, and Brynard Stander gave the hosts something else to take away from the game when he dotted down under the posts at the death. The Blues, however, had meanwhile claimed their sixth try through Pita Ahki, and it was hard to consider they had not won away from home in 13 matches since the final round of the 2012 season - when they defeated the Brumbies 30-16 in Canberra to cruel the Australian team's hopes of claiming a first finals berth since 2004. "It was good just to start well," Braid said, noting the team had then drawn confidence and found a rhythm to ended their losing run away from home. "All the other games we've probably been chasing the game." Returning All Blacks hero Nonu also noted the Blues "had a real purpose about playing for each other". Hodgson lamented the Force's performance at the breakdown, especially early, and said it would be a key focus for the players as they prepared for their final two matches of the season - at home to Queensland Reds next week and then away to the Brumbies in the final round in what could be a winner-takes-all clash. Force coach Michael Foley said the team had to execute their game plan better if they were to claim their maiden finals appearance. "Poor kicks gave [the Blues] a lot of unstructured possession, and then we had the ball - poor breakdown and we couldn't get any momentum," he said. "The guys were pretty down at half-time, lifted themselves just after half-time and got down inside their 22 but didn't complete ... "
Foley suggested that rugby "comes to hunger and they were just more hungry". "It comes back to momentum," he said. "If we don't win the contact area, it makes it very hard for the backs to get anything to launch and very hard to build pressure on them; they're always coming forward and we're always getting knocked backwards."